June 10, 2007, 7:00pm @ B.A.S.E. Born in Hubei in 1974, got bachelor’s degree in Tongji University in Shanghai and master’s degree in Tsinghua University in Beijing, now teaching in Guangzhou Academy of Fine Arts. 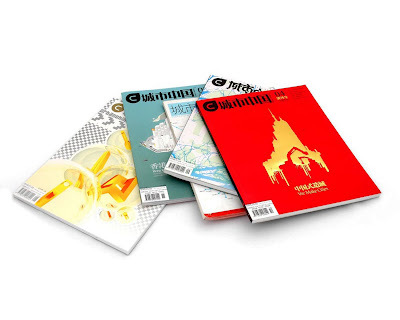 Designer and critic, has been working on urban research and experimental study, exploring the interrelationship between design phenomenon and urban dynamic. 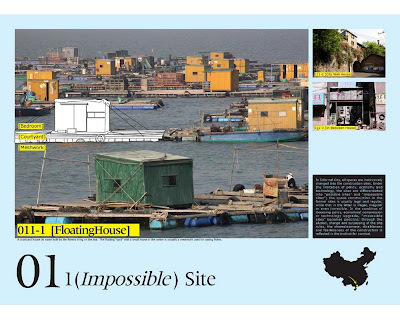 Main works involve urbanism, architecture, product, graphic and art, including Non-up-and-down House, Bar-Net Project, H2O, Shopping Utopia; his writings and critiques including: Something from Nothing, CE, Metamorphosis, Dematerialized, Almost, Tense City, Social Products, Dirtitecture, etc. He is the translator of Tony Godfrey’s Conceptual Art, and Rem Koolhaas’ Bigness and Junkspace. Underline Office is project-oriented group founded in 2003 by designer, photographer and critic Jiang Jun. Based in Guangzhou and registered in Hong Kong, most of its members came from Guangzhou Academy of Fine Arts. 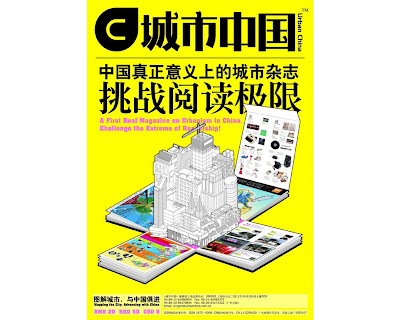 Since the beginning of 2005, Underline Office has been fully engaged into the founding and researching for Urban China, an urbanism magazine based in Shanghai, and also involved into a series of important exhibitions. Main works include: Systematic Superficiality (Exhibition analysis and Design) for Get It Louder Exhibition 2005; Hi-China (An interactive installation for the images from 100 cities of China) for Guangdong Triennale 2005; Directory Lianzhou (A Branch work for Hi-China) for Lianzhou International Photography Festival 2005; Objects to Come/Objects in Disappearing and Future Past Tense (A video installation cooperated with Crystal CG) for Shenzhen Biennale 2005; Informal China for China Contemporary Exhibition in NAi, Rotterdam, 2006; Urban Image & Text for China Contemporary Exhibition in Fotomuseum, Rotterdam, 2006. I think it is more and more important to study the contemporary Chinese condition; this is not the way we look at it 100 years ago. We should study the methods and works that developers and designing institutes are doing; what is really happening out of the so-called architecture circle so we can define what is the real architecture of architecture. Not just combining the West-East commonplaces on architecture and urbanism. What we see and experience today in China is a rapidly changing context. But within that, the ideology in the Chinese mind is kept, that is the most important. I find this quiet exciting. The Chinese recently have been more and more diversified; in Chinese philosophy we call this big unity and small difference. I find it a very effective way for analyzing the current Chinese condition; you can find so much diversity but paradoxically also with having more diversity the invisibles clues of Chinese ideology are disappearing due to all these mutations. I don't think tabula rasa is a nice thing of course, because that behavior kills all diversity. We can use the strategy from architecture, from very advanced architectural thinking that aspires to keep some kind of context. The context is not what we find in hutong area; that is just a very popular topic in the current discourse in Beijing. But for the local society and the people that diversity should have more opportunities in so-called New Urbanism. This Chinese New-Urbanism should keep this kind of diversity in a totally not organized way. I am not so much believing in spatial structure, although we are always doing it. That is also why I quit architecture to do media.